Will your disaster recovery plan work when the time comes? It's a hard determination for any organization to make. But in IBM's experience, the answer is often "no." Disaster recovery plans often fail because organization have based their recovery strategies on outdated assumptions. Read this white paper to learn seven common misconceptions about disaster recovery. 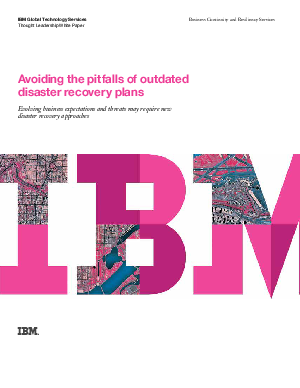 You'll also discover how new technologies can help modernize disaster recovery efforts.